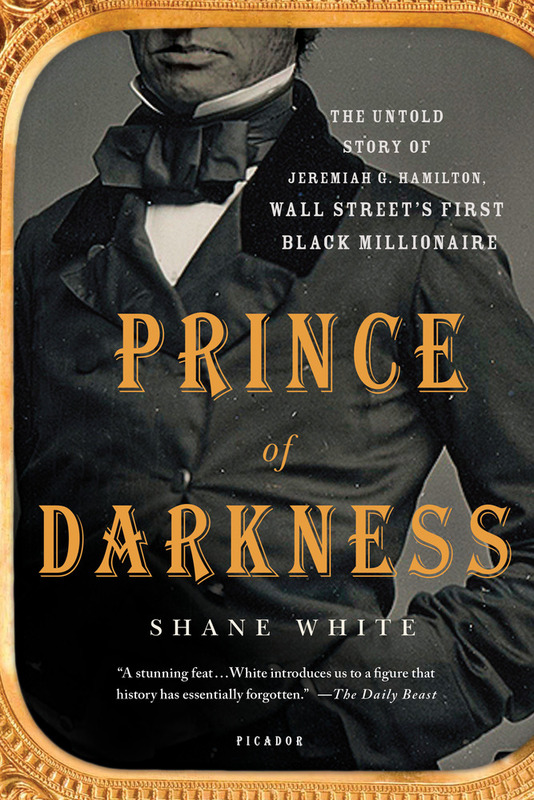 In the middle decades of the nineteenth century, Jeremiah G. Hamilton was a well-known figure on Wall Street. And Hamilton was African American. Although his origins were lowly, possibly slave, he was reportedly the richest black man in the United States, possessing a fortune of two million, or in excess of two hundred and fifty million in today’s currency. 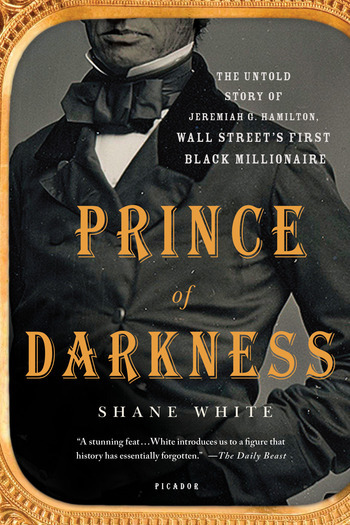 In Prince of Darkness: The Untold Story of Jeremiah G. Hamilton, Wall Street's First Black Millionaire, a groundbreaking account, eminent historian Shane White reveals the larger-than-life story of a man who defied every convention of his time. SHANE WHITE is the Challis Professor of History and an Australian Professorial Fellow in the History Department at the University of Sydney specializing in African-American history. He has authored or co-authored several books, including Playing the Numbers, and collaborated in the construction of the website Digital Harlem. Each project has won at least one important prize for excellence from institutions as varied as the American Historical Association and the American Library Association. He lives in Sydney, Australia.